Long hours on the road, the taste for adventure, the drive to challenge yourself — if you’re getting more and more excited with every word you read, then it’s possible a career in truck driving could be in your future. But what do you really know about being a truck driver? Aside from the romantic ideas you read about traveling the country and being paid to do it, do you really a have firm grasp on the type of work you’ll be conducting? Or how to become one? If the answer is no, we’ve got good news — you’re in the right place! We’ve laid out all of the information you need to become a truck driver, hammered out some details about the job, and even let slide a few insider pieces of information you likely never heard of before. There are several pieces of information you likely need in order to better understand what it means to be a truck driver, what kind of requirements you’ll need to meet, and how to become a truck driver. For example, did you know that there are strict federal laws regulating the amount of time and the distance you can drive as an employed truck driver? Did you know that part of your duties as a truck driver include keeping strict laws? Did you know you might be required to pass rigorous exams, certification programs, and even take part in an apprenticeship before you’re able to become a full-fledged truck driver? What a lot of people don’t understand about being a truck driver is that there’s a lot more to it than simply jumping behind the wheel and moving freight from one spot to another. In fact, it’s a relatively complicated career with lots to learn! Still interested in a truck driving career and learning about the requirements? Check out all of the detail below! Typically, a truck driver is the person responsible for moving a certain amounts of goods from one location to another in a large, oversized semi truck. Truck drivers are required to guarantee the safe delivery of these goods on a deadline, within schedule, and typically without issue. Truck drivers are responsible for delivering and picking up shipments, maintaining the trucks they drive, loading freight, transporting materials, and tracking their logs of driving times according to federal law. Truck drivers typically are assigned routes by dispatchers, but many drivers are responsible for planning their own routes. Drivers must plan legally required rest periods into their trips, even if they’re not tired. Drivers are required to adhere to all safety regulations, follow all traffic laws, and carry specialized safety equipment in case of an accident. Drivers must also know and abide by all special traffic laws that apply to them specifically. reporting incidents occurred during their travels. Many people believe that truck drivers bring in the big bucks, and while in some cases that might be true, on average, truck drivers make a pretty standard salary. Truck drivers make a median base salary of about $50.971. Their salary ranges are based on specific circumstances, certifications, and specifications within their companies. The reported range begins at $45,012 and ends around $58,000. Salary will range depending on the state, jurisdiction, establishment, and specific employment requirements. In fact, it has been reported from Monster.com that while entry level drivers are able to make about $30,000, some teams of truck drivers are able push up to about $100,000 of annual salary. The salary will always depend on specific circumstances, but can be expected to range anywhere from about $45,000 to $58,000, according to the Bureau of Labor Statistics. 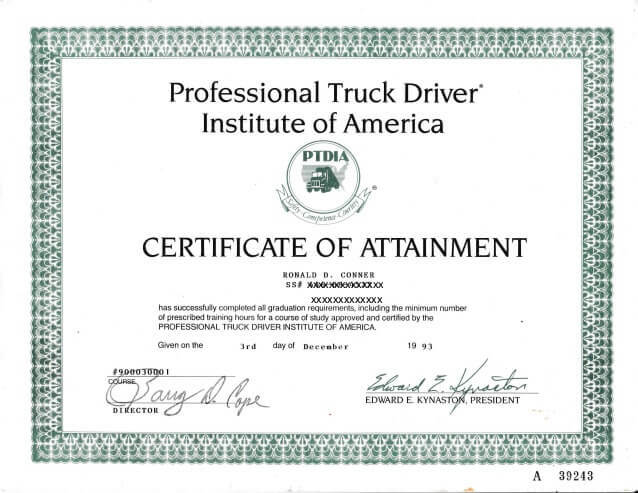 If you’re not certified and able to drive a regular car, you better believe that you’re not certified to drive a giant truck! Make sure that you have your regular license first in order to qualify for your career driving delivery trucks and earning a commercial driver’s license — called a CDL. You should hold your high school degree when applying for a truck driving job, but according to the Bureau of Labor Statistics, it’s not necessarily required. Serious candidates attend and complete the truck driving curriculum from accredited community colleges, vocational schools, and private driving schools. These programs are typically several months to a full year and will likely cost tuition — there’s always tuition assistance to consider. As we said above, you’ll need to pass your CDL exam, the details of which you should have learned in on the job training or in your educational courses. Drivers are required to pass the Federal Motor Carrier Safety Regulation exam as well which tests physical sight and hearing, federal traffic laws, and more. It’s possible that you might have to hold a Commercial Learners Permit while you learn under the experience of the guidance of CDL licensed driver. If you have trouble landing a job after you’ve completed your education and finished your certification, consider finding a program that allows for internships and apprenticeships in order to build your skills before you set out on your own. Sometimes, just a high school diploma is required to become a truck driver, but other times, becoming a truck driver involves much more schooling than that. Some jurisdictions require that you participate in specific, accredited community college courses, vocational school courses, or private training courses. While the requirements vary, it’s always beneficial for your career to participate in these courses. In some states, a simple drivers’ license will do, but in most areas, you’ll need ot pass licensing exams. You likely will need to pass your state CDL exam with endorsements. You will also need to pass your Federal Motor Carrier Safety Regulation exam that includes physical sight, hearing assessments, and a written section on federal laws. This industry is expected to grow at a rate of about 6 percent from 2016 to 2026, about as fast as average for all other occupations in the United States. As households and business increase their spending and commercialism, so too will the trucking industry increase. That's a higher than average projected growth of 108,400 jobs. Should You Become a Truck Driver? Before you take a sole look at the benefits of being a truck driver, consider some of the downfalls, too, and consider how they factor into our overall satisfaction score of medium. Yes, as a truck driver you have the ability to make good money and your job occupancy rate is expected to grow exponentially. These are wonderful career factors, but consider things you’ll sacrifice like convenience, time away from family and friends, limited truck parking, and of course, irregular and hard-to-adjust-to sleeping patterns. This industry has a very high turnover rate with employees who have a fair amount of stress, however ,it does pay well and does offer you flexibility, freedom, and job security. Many people choose to become truck drivers, and continue to be satisfied with that decision, because it provides job security. According to the American Trucking Association, there’s a serious shortage in segments of the industry that could interrupt the US distribution system — in other words, there’s no shortage on the demand for reliable truck drivers. Others find themselves satisfied with truck driving careers because they’re a cure for the common 9-5 work week. You can work 70 hours a week, but no trip is ever the same, and often, every trip is eventful in some way. Additionally, the pay is quite comparable for the kind of work being done, and although schedules can be complicated and your sleeping pattern likely won’t ever be the same, the salary has been known to be enough to make people look over these negatives. The average salary of truck driers in the United States is about $50,971, with a range from $45,000 to about $58,000. This has grown significantly in the past few years and is expected to continue to grow. Ten years ago, entry level truckers were earning about $20,000 — now-a-days, truckers are earning about $30,000 at entry level, and the most experienced of truckers are making about $85,000 a year. In fact, according to Monster. Com, there are a few people in the industry who are making about $100,000 yearly. For the type of work being done and the demands needing to be met, the salary is relatively high. While this career path offers job security, it’s not expected to grow at a rate any faster than the average occupation in America. Currently, this industry is expected to grow by about 6 percent from 2016-2026. This is quite the bid for job security for the industry. According to Monster.com, the American Trucking Company Association reported that there is a serious shortage of some segments in the trucking industry that stand to seriously disrupt the US distribution systems. In other words, it’s guaranteed that more qualified men and women will be needed. In addition, technological advancements should result in trucks that are more fuel efficient and easier to drive, allowing for room to allow more people into the industry who might have a harder time becoming truck drivers presently. The advancing technologies will likely help to ease — or even erase — the burden and create a safer driving environment for all vehicles, further opening the possibilities for new drivers. While some establishments will only require a high school education, it’s possible you’ll need to endure several months or up to a full year of vocational courses, community college education, or private training to become a truck driver. Some establishes will require about a full year of training, education, and experience, however, there are private training establishment programs that might allow for an expedited, more hands-on training system that will reduce the time you spend in training and educational courses. Q. Do You Make Good Money as a Truck Driver? As a truck driver, you are expected to make a median salary of about $50,970 with a possible range of $45,000 to about $58,000. It’s possible that truck drivers can make a range of about $30,000 to about $100,000 according to Monster.com, although these are not national averages and are likely outliers. Q. How Long Does it Take to Become a Truck Driver? Depending on the coursework and program you’re participating in for training, it could take anywhere from a few weeks to an entire year. There are several private programs that can help you to complete your training in just a few weeks, but it’s likely that you’re going to pay more money in order to become certified. There are vocational and community college courses that can help you earn the education you need to pass necessary exams and train you in just under a full year. Q. 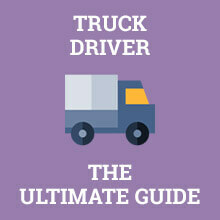 What License Do You Need to be a Truck Driver? You will need to pass your commercial drivers license exam as well as the Federal Motor Carrier Safety Regulation. Additionally, you’ll need to have your regular driver’s license before you’re able to apply and complete other driver’s license certifications. You’l need special license endorsements and a completion of driving skills and safety courses. Q. What Kind of Skills Do You Need to be a Truck Driver? You will need personal skills such as determination, endurance, creative problem solving, the ability to stick to a deadline, a safety conscious mind, organization, and acquired skills related directly to the field. You will need good communication skills, the ability to work within the customer service realm, possess excellent judgement, have excellent hearing and vision, and be physically able to sit for long periods of time without stretching or walking around. Q. How Much Does it Cost to be a Truck Driver? Typically, trucking schools will cost anywhere between $3,000 and $7,000, depending on what kind of license class you’re looking for. Some programs are available to you that will allow for financial aid, some prospective employers might front the cash in order for you to complete this program, and loans are available for this as well. Woah. I totally appreciate this resource. It has set me in the right path and I appreciate the heads up. I like this. I totally do and I can’t wait to land an apprenticeship with a big transportation company to start with. Woah. I can actually make a career in truck driving and I see it could be in my future. Just that I don’t know how I’ll start but I believe this guide would really help. This job is fun. I love that there are strict federal laws regulating the amount of time and the distance you can drive as an employed truck driver. This makes it easy for you to work on your plan and deliver well. Getting my CDL wasn’t really easy I must say. It took months in the driving school and another long-time learning truck driving under an expert before I was given my license. Wow. I need to have a regular license first in order to qualify for a career driving delivery trucks and earning a commercial driver’s license? Hmmm. Yup. If you’re not certified and able to drive a regular car, then you’re not certified to drive a giant truck! Exactly what I was told when I went to learn the art. So, you should have that in mind.